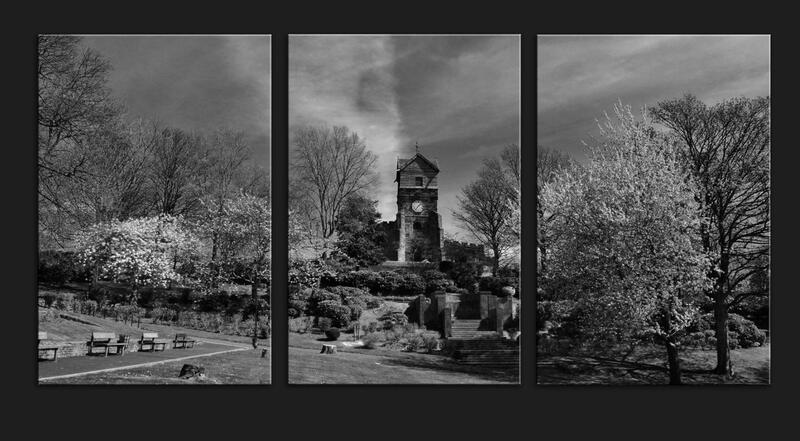 A more compact version of St Leonard's church and Jubilee Park canvas triptych in two colours. 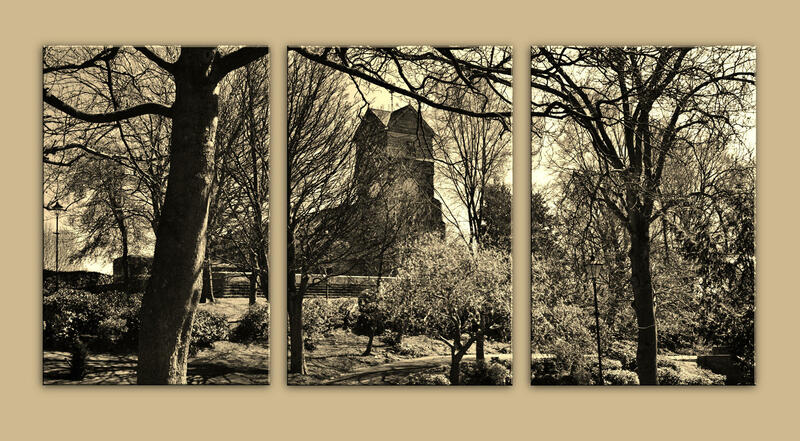 The black & white option has fine glitter applied by hand to the natural highlights in silver. The sepia option has gold glitter. 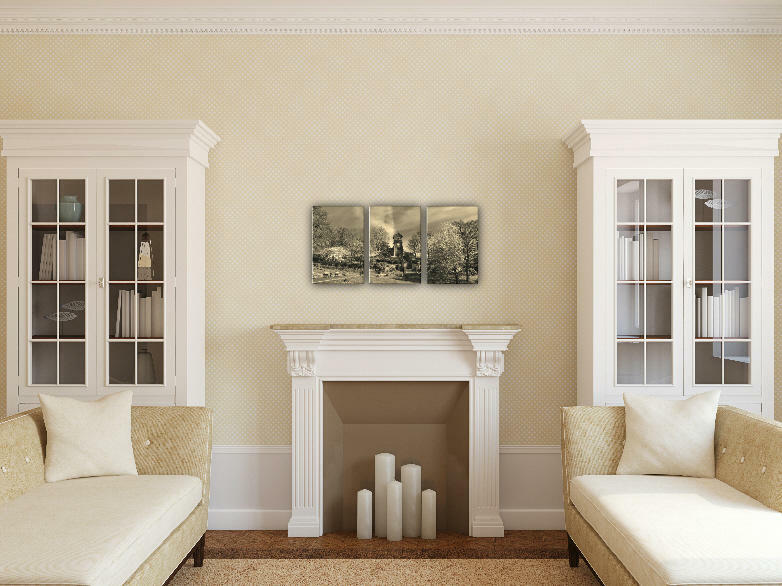 This gives a subtle glistening effect as it catches the light. The edges of each panel is black in both cases. 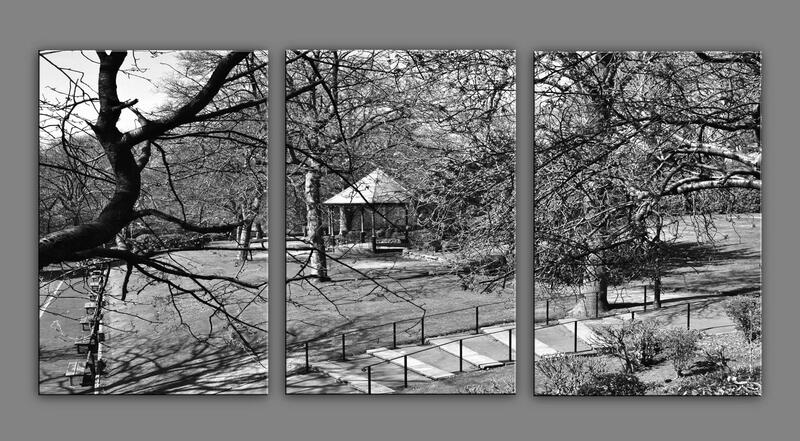 Please note because of bulk, canvas triptychs are sent out by 2nd class mail to keep the postage cost to a minimum (which in this case would otherwise be £7). The £4 charge covers loss or damage and should be delivered within 3 days of posting out. Please see more details on 'Delivery' at the bottom right of the page.